Today, thriving as a local small business is an entirely different game than it was a few years ago. Local businesses require a special approach to building recognition and respect in their community, and local SEO is the tool to make it happen. There’s always something new to learn and discover in the world of local SEO, so we’ve gathered a few of our favorite podcasts for digital marketing on a local scale. 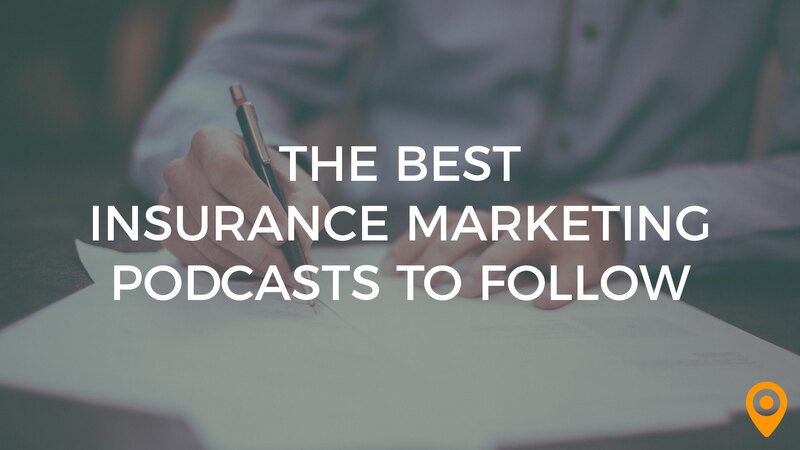 Here are 15 podcasts to elevate your local SEO marketing skillset. Hosts Mike Blumenthal and Mary Bowling take an in-depth look at the issues that really matter to local SEO. This podcast offers more than the typical baseline approach to local SEO. On Deep Dive into Local SEO you’ll learn new tricks to overcome all types of local search engine challenges. The Bulletproof podcast is intended to offer marketing advice to the dental community, but it’s packed with solid pieces of advice and insight for building up local SEO strategies across all industries. Ready to stay on the cutting of edge of local SEO? 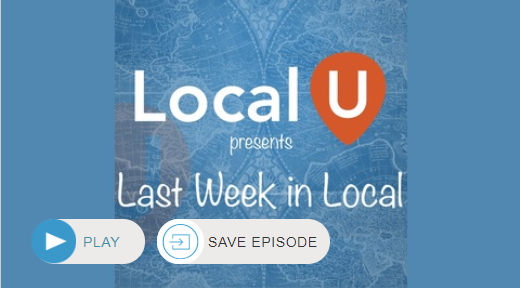 Last Week in Local Search is the podcast that will help you do it. Tune in each week to discover what’s new and relevant in the world of local search engine optimization and more. Previously called Marketing Nerds, the Search Engine Nerds podcast focuses strongly on SEO topics that affect the day to day operations of marketing businesses of all sizes. While not specifically devoted to local SEO, hosts Brent Csutoras and Loren Baker discuss topics that can be applied to any current SEO trends, including the growing focus on local optimization. 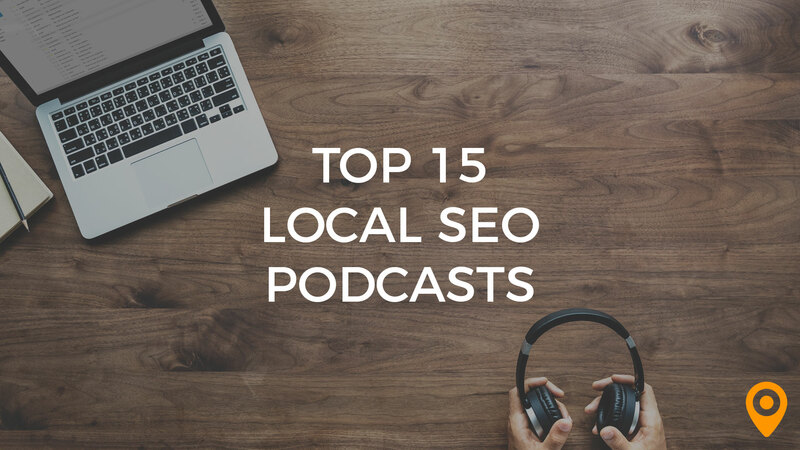 The Intrycks Local SEO Tactics podcasts is laser focused in its focus on building small businesses with a smart, effect approach to local SEO. This podcast will help you develop a local SEO strategy to get noticed ahead of the competition, target the right audience online and generate quality local leads that are practically guaranteed to convert. Designed specifically with small businesses and marketing managers in mind, The Recipe for SEO Success Show presents traditional and local SEO strategies in a way that’s free of any unnecessary industry jargon. When working with local SEO, it’s always smart to keep up to date with everything happening in the world of SEO in general. 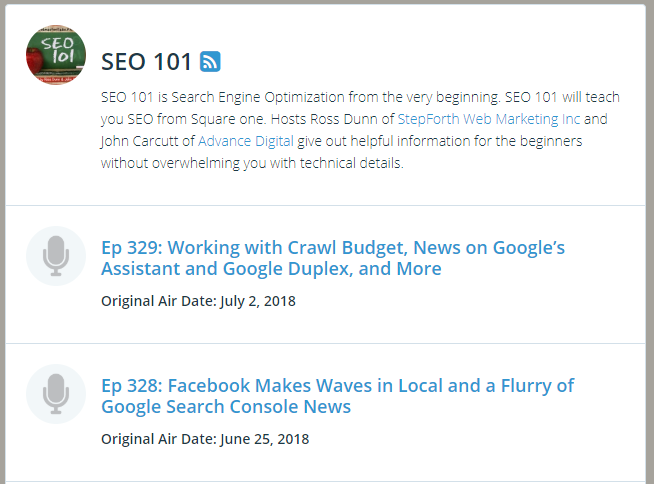 SEO 101, hosted by Ross Dunn and John Carcutt, is a great resource for revisiting the basics and learning a few new things about search engine optimization along the way. There are few things more valuable in the digital marketing industry than the advice of seasoned pros. Great local SEO is built from a combination of past experience, lessons learned and a keen eye on what’s happening in the industry. SEO expert Stephan Spencer hosts the Marketing Speak podcast, which is packed with advice and tips on everything SEO. 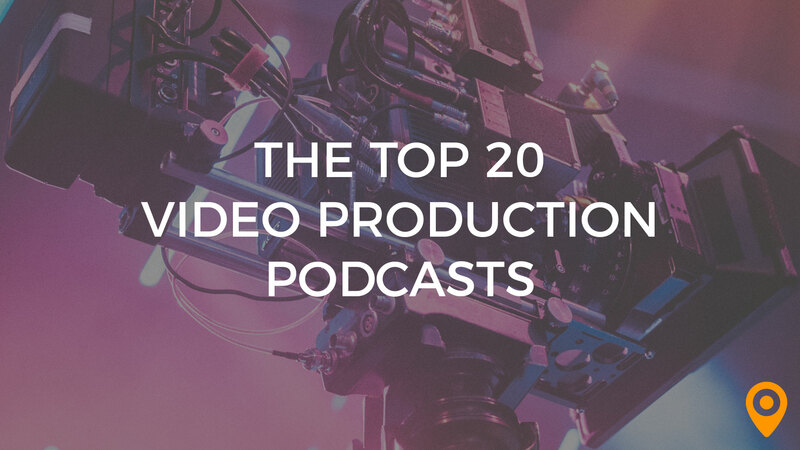 For each episode he brings in the best of the industry, from authors to SEO specialists. MozPod offers a laid back approach to uncovering the secrets to local SEO. This podcast is quick hitting and easy to listen to. Plus, it’s also very relatable. Each episode features guest interviews that answer the unanswered questions of SEO. Rebecca Gill produces SEO Bits, a series of quick 15 minute podcasts that each cover one topic in the wide range of SEO. Her podcast is especially relevant to local SEO because she specifically targets small business owners who benefit from attracting a locally based audience. Content creation is an important part of local SEO, meaning anyone in the field should be constantly looking for new ways to polish their content strategy. Copyblogger FM is a great resource for connecting with experts in the field of content marketing, conversion optimization and more. Mixergy is a podcast that features thousands of interviews from business founders. While Mixergy doesn’t focus on local SEO in particular, the insights and inspiration from the guest interviews are sure to add a fresh perspective to your marketing operations. It’s important to approach local SEO from many different directions. 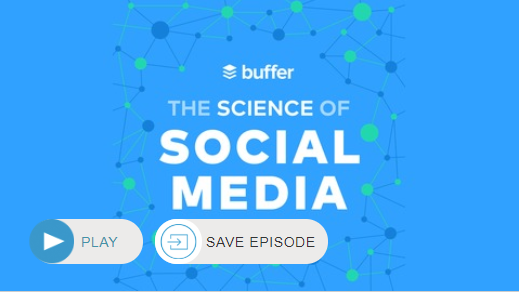 The Science of Social Media podcast features content that anyone even thinking about social media marketing will enjoy. It covers the range of beginner to more advanced social media topics and often features guests who are leading experts in the industry. Phil Singleton, host of Local Business Leaders, is one of the most prominent voices for local business growth. The award winning web designer and SEO expert brings his experience to interviews featuring successful entrepreneurs and small businesses owners.